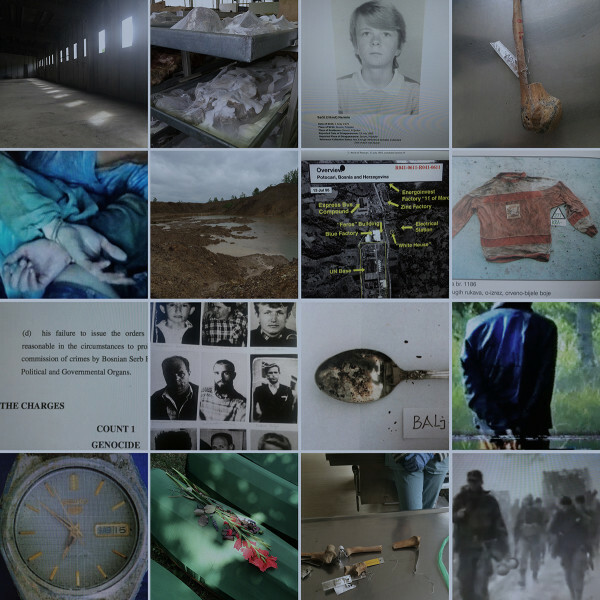 Ab uno disce omnes is a new work by artist Šejla Kamerić commissioned by Wellcome Collection as part of the exhibition Forensics: The anatomy of crime. The work centres on Kamerić’s acute interest in forensic medicine’s integral role in Bosnian society in the wake of the 1992–95 war and addresses the brutal legacy of an all too recent past. Attesting to the absence of countless family members across the region and the painstaking forensic process of recovering and identifying massacre victims, Ab uno disce omnes seeks to reconcile the cultural, political and historical void between the proliferation of statistical information and the enduring human consequences of war. The project began as an academic data-gathering mission; a meticulous process much like the methodology of medical research, where information is comprehensively collected, cross-checked, analysed and systematically categorised. With each new contribution the process grew in complexity, raising important questions regarding the nature of information that has been filtered through bureaucratic barriers and how it is subsequently perceived when juxtaposed with other sets of documents and images from a diverse range of sources, ultimately asking: What are the consequences of imposing a single viewpoint onto an assemblage of interconnected information? Taking the form of a vast repository of data stored on a continually evolving open server database, Kamerić has amassed an extraordinary accumulation of individual cases, photographs, film footage, legal documents, forensic reports and activity, testimony transcripts, and press coverage, as well as video clips filmed by the artist of the field research process. This constantly expanding archive exists both as a multimedia installation and an ongoing web project – a living memorial in the form of data. The indiscriminate nature of the database resembles a digital organism constantly mapping and reassembling information about itself as its data content continues to grow. 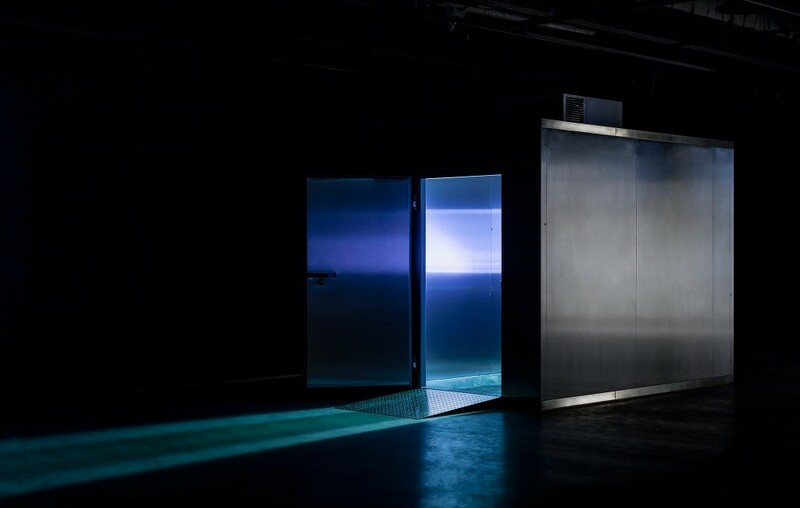 In the installation, it is experienced within the charged environment of a working mortuary fridge, where video clips are randomly selected and constantly reshuffled, providing each observer a unique encounter with the work. The online website also immerses visitors in a profusion of information through which the complex structures of the war and its aftermath can be traced. The name of the work – Ab uno disce omnes – comes from Virgil’s Aeneid and translates as “from one learn all”. In Kamerić’s vivid repository of visual evidence we are invited to learn through the eyes of the artist as she guides us through this difficult landscape, the haunting perspective of one individual representing the lives of many thousands. Ab uno disce omnes therefore impels an urgent consideration of the anatomy of war and the vital importance of collecting, compiling and navigating evidence, thereby revealing the magnitude of human tragedy at its centre. Through interwoven strands of memory, data and statistics Kamerić has encapsulated both the challenges of this volatile process and the intensity of her own journey in attempting to comprehend it – an intricate web of recovered histories, reclaimed lives and as yet uncertain futures. This vast and continually evolving database searchable through the Ab uno disce omnes website is interactive work in progress. WARM invites you to submit your articles, photos, audio and video recordings and contribute to Ab Uno Disce Omnes until June 2015.